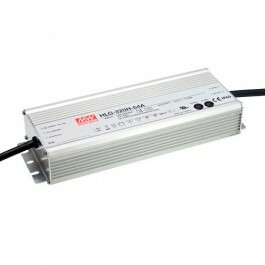 This Mean Well HLG 320H 240-12V changing power supply can be used to power up to 320 watts of our low voltage single colour and RGB colour changing LED strip lights. The driver features a live and neutral, which can be wired to the mains supply, and a 12-volt pair (red and black) to connect to the LED Strip Light or, in the case of RGB Colour Changing LED Strip Lights, RGB Controller. Being IP67 rated, the transformer is suitable for use in damp and wet conditions. This product is covered by a 14 day money back guarantee and 2 year replacement warranty. For more information call 0116 321 4121 or email support@ledstriplights.co.uk. PLEASE NOTE: This is a special order item and, regardless of which shipping method chosen, will take 2-3 days on top for delivery.